Hello! 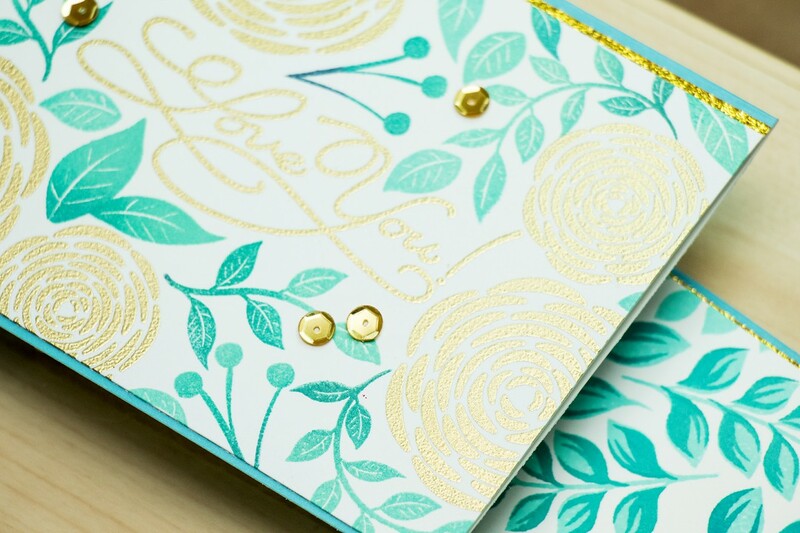 I always enjoy stamping backgrounds for my cards as this gives me the freedom to create whatever design/pattern I want. I’d like to share 2 cards I made using stamps from the Hero Arts 2016 catalog. 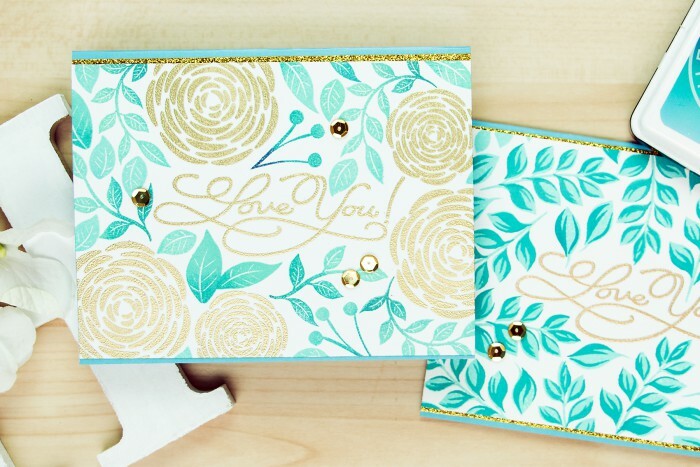 Both are almost identical in terms of color and layout, however I used stamps from 2 different sets to create these (plus a gorgeous Love You woodblock sentiment stamp). 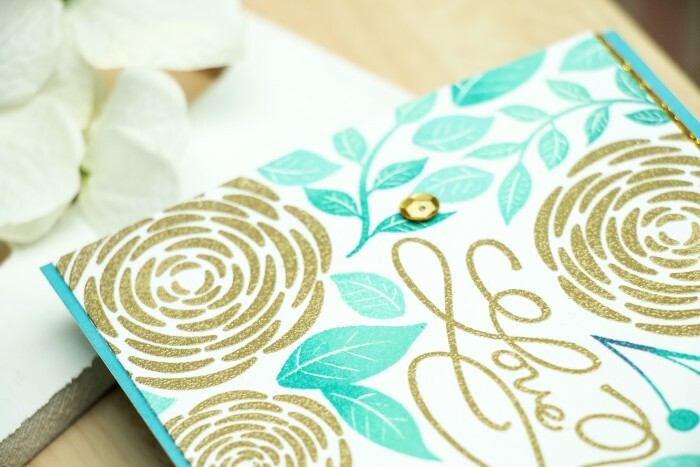 Both cards have a beautiful heat embossed Love You sentiment created using Gold Embossing Powder from Hero Arts. 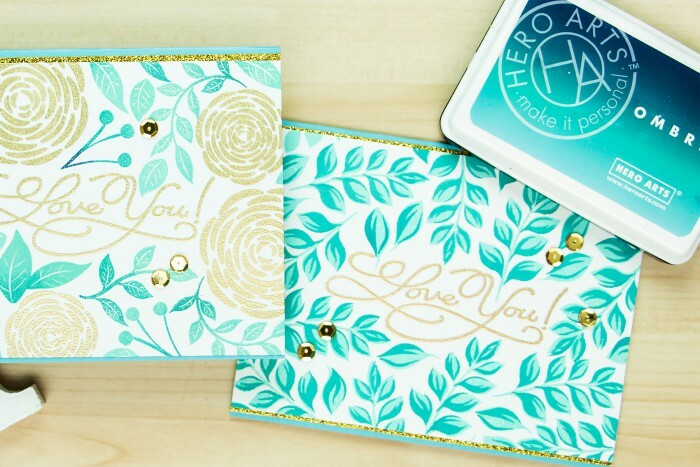 The card on the left also features several heat embossed florals from the You’re So Lovely set. I just adore these bold flowers! 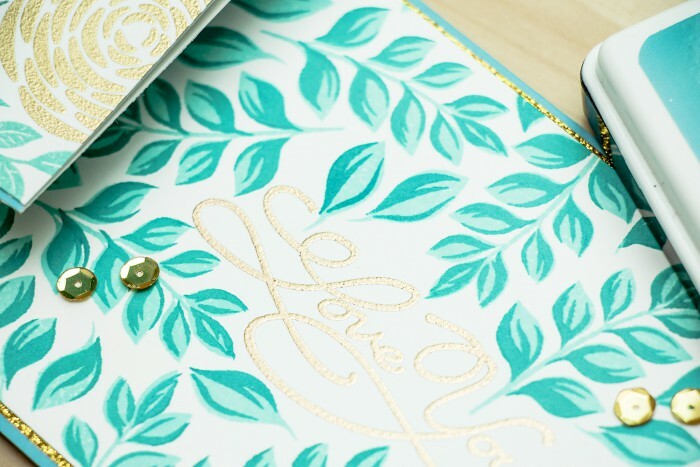 The background is also filled with large and small leaves stamped using Pool to Navy ombre ink pad. Backgrounds on both of my cards are trimmed to about 4 inches tall and adhered onto blue card bases, there’s also a strip of gold glitter tape added to both and several gold self-adhesive sequins added here and there. The pattern on the second card was created using a different set, Color Layering For You Flowers and was stamped using the same colors of ink – Pool and Tide Pool (I skipped the darkest Navy color here). Oh Yana, your cards are beautiful! I need to try this one. Very, very pretty! Awesome!! Really really pretty cards! Awesome!!! Both are so lovely!!! Very beautiful cards! Those colors.. Aww..